BBC Radio Lincolnshire and BBC Radio Humberside will be speaking with author Brian Best on their programme Sunday, 4th September at 4pm broadcast across Lincolnshire, Humberside and East Yorkshire 94.9fm and 95.9fm. You can also listen to the talk via their website and on Freeview channel 722. You'll be £19.99 closer to your next £10.00 credit when you purchase Fighting for the News. What's this? It is now two centuries since a newspaper conceived the idea of sending a reporter overseas to observe, gather information and write about war. With no experience to draw upon, both newspaper and correspondent gradually worked out a procedure that has evolved into today’s incredibly sophisticated and unrecognisable form. The first special correspondent employed by a newspaper to gather information about a current war was Henry Crabb Robinson. In 1807, the proprietor of The Times, John Walter II, sent this thirty-two-year-old lawyer to act as their ‘man in Germany’, ostensibly to follow and report the movements of Napoleon’s Grande Armée. He was almost arrested, escaping from the Continent in disguise, the first of the many exploits and adventures of this bold group of individuals undertook to bring news from the seat of war. This included William Russell in the Crimean War, whose reports helped bring down the Government, and perhaps the most famous correspondent of all, Winston Churchill, who reported on conflicts in Cuba, the Indian frontier, Sudan and the Boer War. 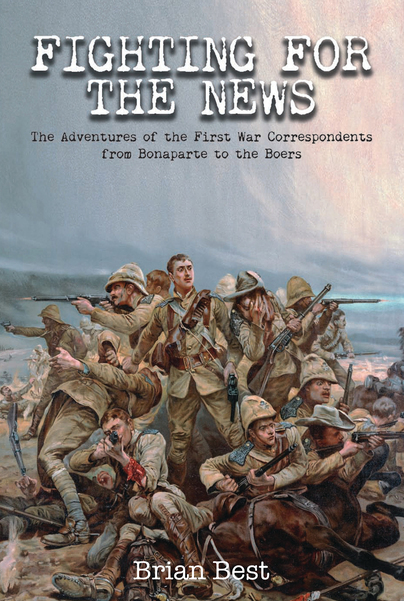 Brian Best is an expert on the Victoria Cross and in Fighting for the News he traces the extraordinary adventures of the first war correspondents from Napoleon to the Boer War. It is now two centuries since a newspaper conceived the idea of sending a reporter overseas to observe, gather information and write about war. With no experience to draw upon, both newspaper and correspondent gradually worked out a procedure that has evolved into today s incredibly sophisticated and unrecognisable form.